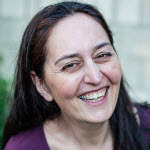 Lea Cuniberti-Duran is a UX practitioner based in the San Francisco Bay Area. She has been working in the Health and Medical space for the past several years. Recently, she designed and researched eCommerce experiences for older adults. That experience gave her the opportunity to dive deep into how older adults approach technology by conducting several studies, workshop and interviews to dozens of seniors. These days, she can be found helping translate medical Big Data into meaningful and useful experiences.